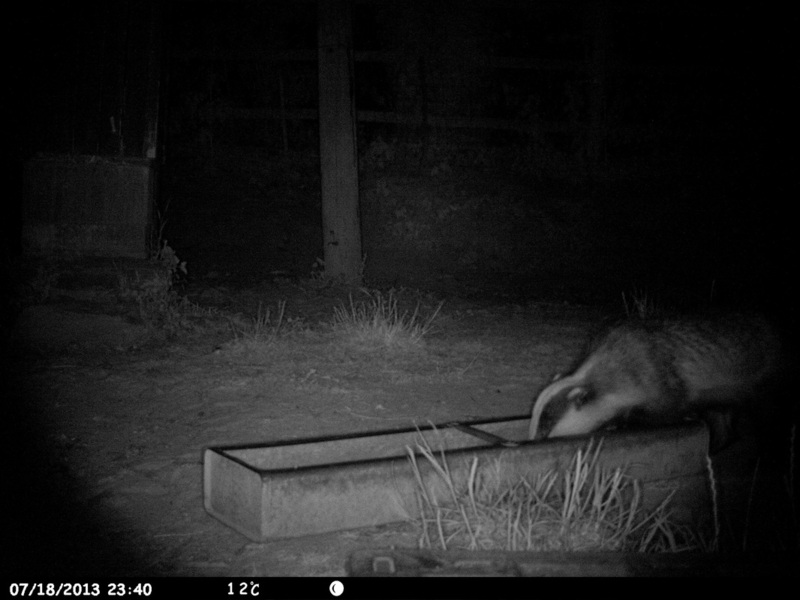 Badgers July 2013 - DEVON YURTS Glamping in Style! 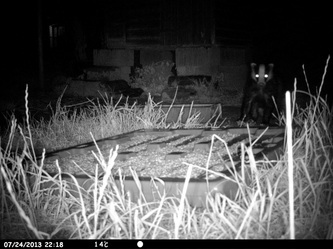 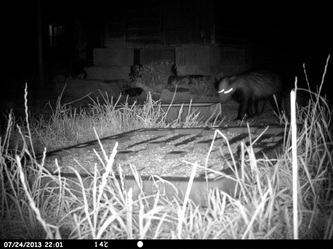 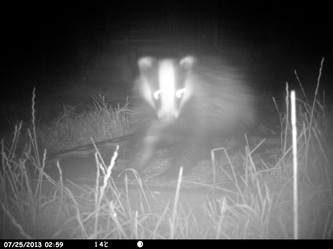 The pictures below were taken using a Pro Stalk 5000 wildlife camera which operates remotely and can take pictures and videos. Movement triggers the camera and it can take pictures both day and night time. 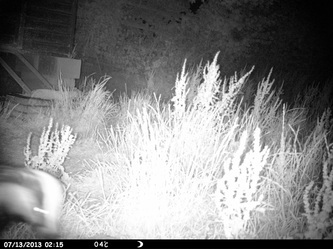 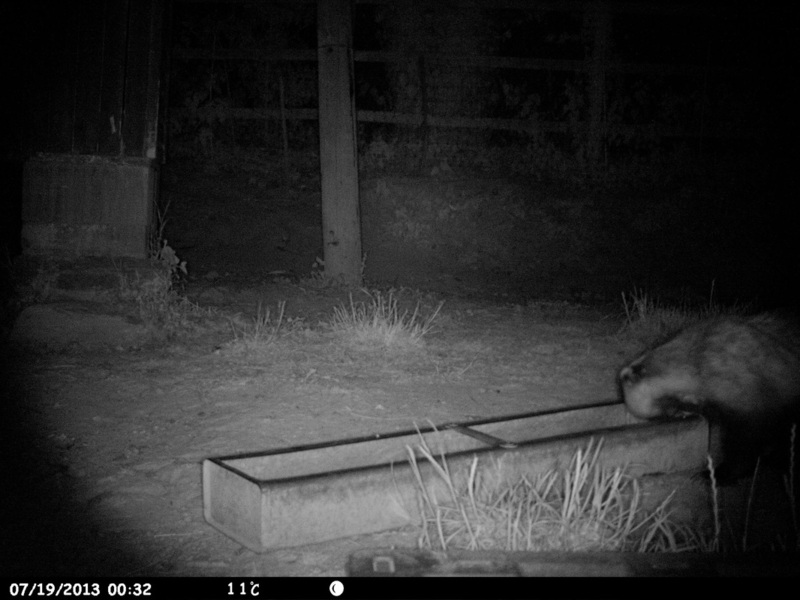 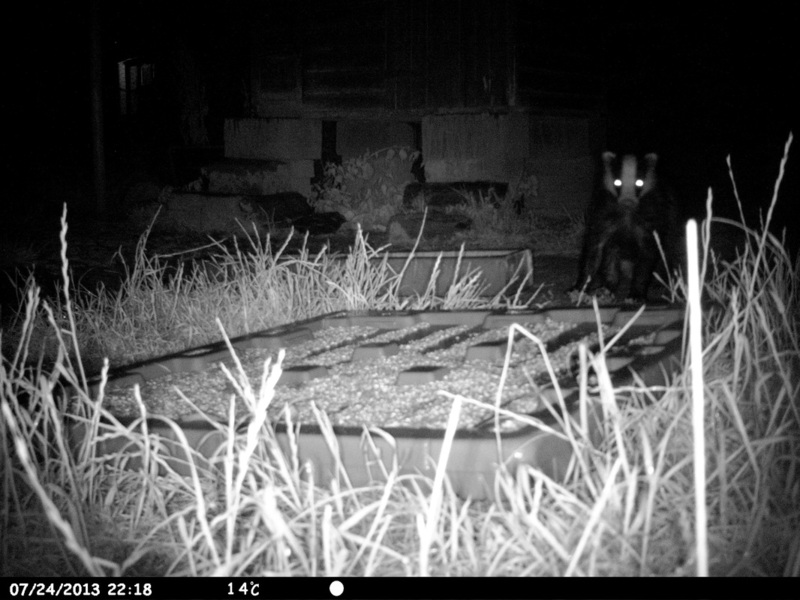 The pictures below were taken in the small field adjacent to the river Hems and yurt camp over a few nights in July 2013. 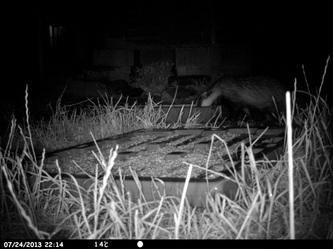 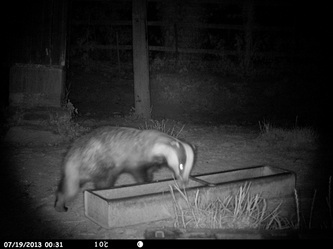 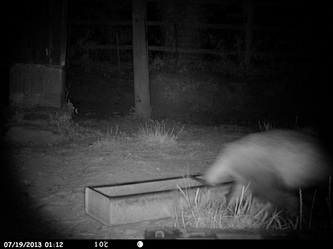 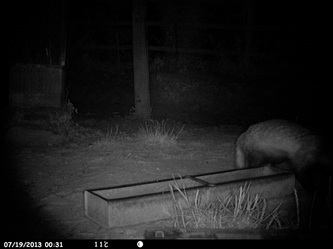 The badgers are regular visitors to our hen run and like to clear up the leftover hen food spilt on the ground - Hems are very messy eaters!!. 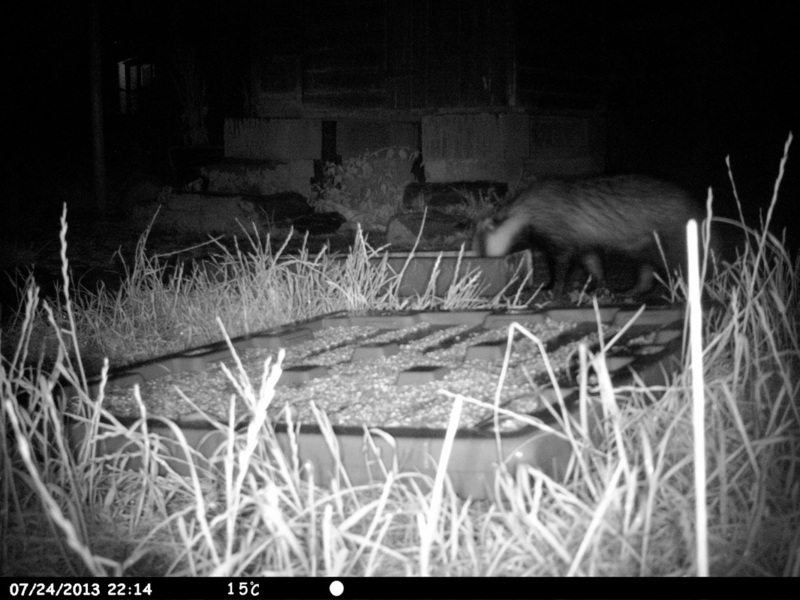 We have no idea how they manage to get in the run which is surrounded by a 6ft high wire fence which is also dug into the ground.